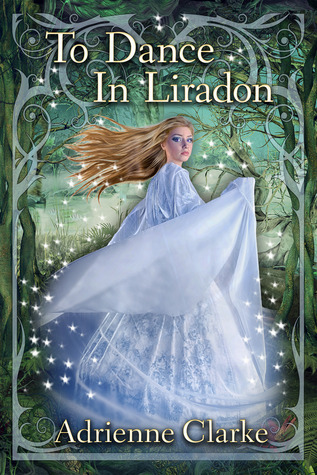 To Dance In Liradon by Adrienne Clarke releases today! You can currently purchase a copy HERE from the publisher's website, but it will also be available on Amazon and Barnes and Noble by the end of the week. Check out the cover and blurb! “Seventeen-year old Brigid O'Flynn is an outcast. A chance encounter with the Faerie Queen left her tainted in the eyes of the villagers, who blame the Faerie for the village’s missing women and children. Desperate to win the village’s acceptance Brigid agrees to marry her childhood friend: Serious, hardworking, Connell Mackenna. But when Connell disappears before their wedding Brigid's hopes are shattered. Blamed for her fiancé’s death, Brigid fears she will suffer the same fate as the other village outcasts, the mysterious Willow Women. Lured into Liradon by their inhuman lovers, and cast out weak and broken, the Willow Women spend their lives searching for the way back into Faerie. When Connell suddenly reappears Brigid is overjoyed, but everything is not as it seems. Consumed by his desire for beauty and celebration, Connell abandons his responsibilities, and Brigid soon finds herself drawn into a passionate, dangerous world of two. If you're interested in To Dance In Liradon, be sure to check back this weekend for Adrienne Clarke's guest post about her Top 5 Favorite Love Triangles in YA Fiction and a giveaway! For more about To Dance In Liradon check out these sites! Congratulations on the release of To Dance in Liradon. It sounds like a fascinating read, and one I will be putting on my TBR list. Thanks, Janna! You're such an amazing support for authors. I'm grateful for our connection. Beautiful cover! Looks really interesting..